NEW PRICE ADJUSTMENT. 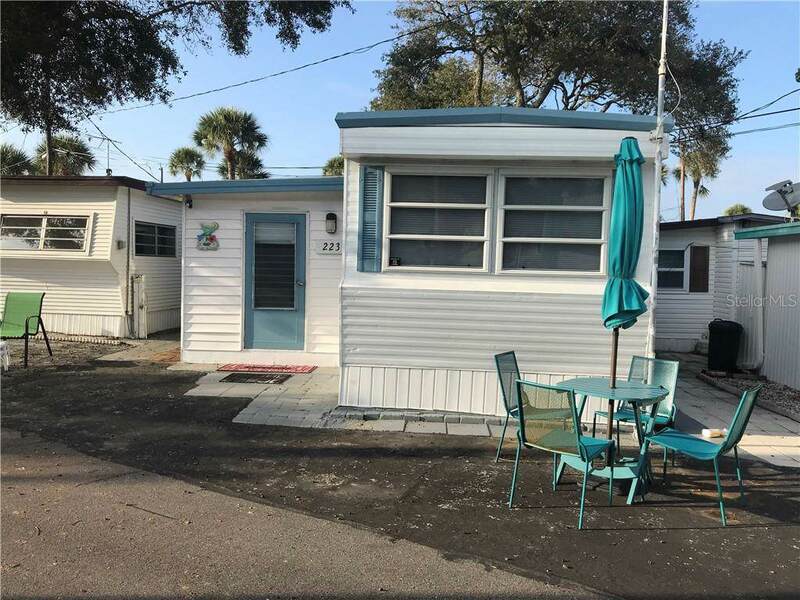 PERFECT WINTER HOME ON MANASOTA KEY SNOWBIRDS this is for you. 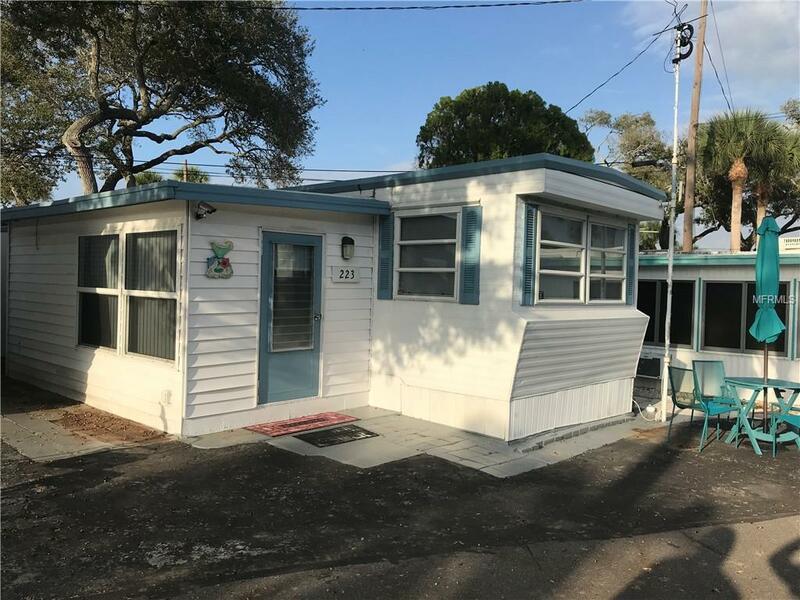 This one bedroom, one bath mobile home has 448 sq ft of living space located in the 7 1/2 acre park that extends from Lemon Bay to the Gulf of Mexico. Per the owner there are new floors, an updated kitchen, a newer AC and a new 4x8 wooden shed. This home comes furnished with a temperpedic bed. There are boat slips on a first come first serve basis from the dock master. The annual fee for the docks depends on the size of your boat. 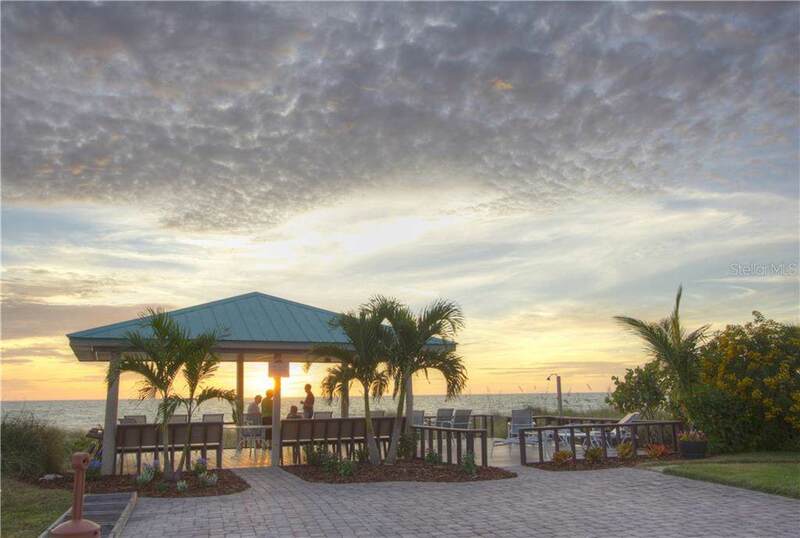 Enjoy the TIKI HUT on the beach side to watch that beautiful sunset and meet up with your neighbors. The NEW Tiki Hut on the bay side for additional use such as coffee in the morning to watch the dolphins play. 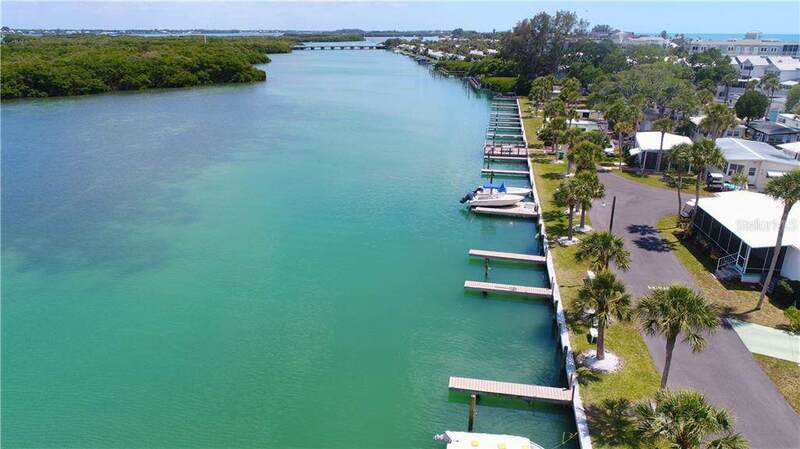 Two fishing piers and a community boat ramp are located on the bay side. Two laundry facilities and two additional bath houses when you have extra guests are available. This is a 55+ community. No pets are allowed. The perfect place to enjoy your winter stay. An electric CLUB CAR conveys with the sale of the property. Per the owner, the factory batteries are approx. a year old. It is the perfect item to have in this park for a quick ride to the beach, or headed to the recreation center. Please note, the security system does not convey. Additional Water Information The Docks Are Located On The Bay Side. These Are On A First Come First Serve Basis. Contact The Dock Master For Additional information. Additional Lease Restrictions No Pets Allowed. This is A 55+ Community. Amenities Additional Fees Boat Docks Are On A First Come First Serve Basis. Contact The Dock Master For Fee information.